Chouteau’s Garden, at 4332-34 Chouteau Avenue, is a community garden for gardeners who live in the FPSE neighborhood. Half and/or full size garden beds are typically available on a first-come, first-serve basis. The garden features secured plots (with a fence and gate), an all organic site (no pesticides), and a drip irrigation system. 1. There is a subscription fee of $25 for a full bed, and $15 for a half bed. This fee includes the cost of some starter plants, fresh soil for the garden bed delivered on-site, and on-site water. There is also on-site mulch. 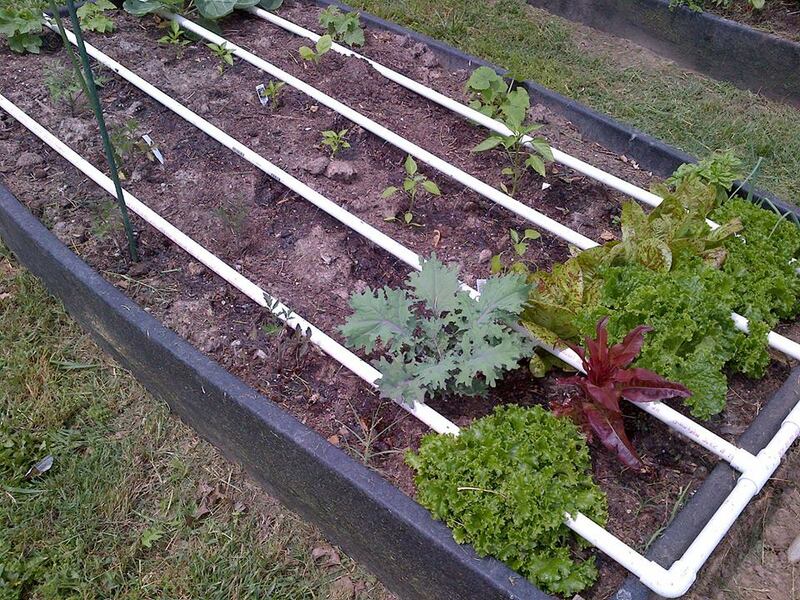 Gardeners will also share any produce from communal beds. If this fee poses a significant barrier for you, please let us know, and we’ll work out an arrangement. 2. We are asking for a commitment to assist with general maintenance of the site. Gardeners can help with general garden maintenance (grass cutting and trimming, trash pickup, etc. ), and we ask everyone to commit one person from their household to two of these workdays over the growing season. 3. How to join? Contact Julie at Birkenjm@slu.edu or (314) 534-3950 and leave a message with your name and phone number. Let her know that you would like a plot, and whether you want a full or half bed.